Ten are about the cold and dark of winter. Four pictures are of animals. One dog is peeking out of the curtains. Only the cat is ours. Three were taken at school. You can't tell by my examples but this is also a rhyming books. Every double page rhymes so it has a rhythm that kids will love. This book is my new favorite baby gift. I also think primary kids would love it. And it could serve as a mentor text to anyone writing his/her own ABC book--as a model of writing or as a way to think about a topic, such as bedtime. and the strength of the first five laps. and the black line below me. and the things that didn't get done today. It's the girl in the purple bikini in the lane next to me. and the push off the wall. and the sting of the cold air on my damp head. This is a poem about what it's like to swim laps. While it might look tedious from the deck (back and forth, back and forth), there's actually a lot going on inside my head while I swim. Besides working to keep track of my lap count, I think about my day, plan what needs to get done tomorrow, and make up stories about the swimmers around me. The counting keeps me focused, though, and makes my swim a 30 or 40 minute meditation. And no matter what else my mind is doing, the swim is always about the rhythm and the breathing and the black line below me. Anastasia has the Poetry Friday round up today at Picture Book of the Day. As you can see in the sidebar, we only have a month of hosts left for the Poetry Friday round up. If you'd like to host, pick a Friday in March, April, May, June or July (except July 16 -- I'm taking that one) and leave a message in the comments or send an email to me at mlhahn AT earthlink DOT net. This is the final post about the Kids Can Press series, CitizenKid. CitizenKid is "A collection of books that inform children about the world and inspire them to be better global citizens." We're featuring the CitizenKid series because one of the CitizenKid authors, David J. Smith, author of the books reviewed in this post, will be at the February 20, 2010 Dublin Literacy Conference. Attend to the ethical responsibilities required by these complex environments"
There will certainly be authors and presenters at the conference whose topics deal with the tools of technology, multi-media texts, and information management. Just as important, there will be a focus on relationships, cross-cultural collaboration, and the global community. 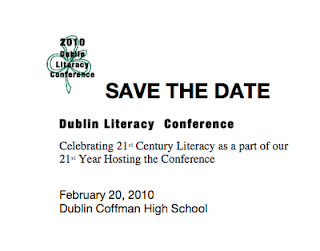 We hope you'll consider joining us for the day on February 20 at the Dublin Literacy Conference. Come meet David J. Smith and hear him speak! You can find registration information here. Cross-cultural problem solving and global information sharing are among the 21st Century Literacies we need to help our students (and likely ourselves) to develop. Yet how to impart in our students an understanding of the world when it is so huge and varied and incomprehensibly complex? David J. Smith has one answer: reduce the world's population of 6 billion and some to a village of 100 that mathematically represents the world in a more understandable way. Nationalities: Of the 100 people in the village, 61 are from Asia; 5 are from Canada and the United States. Languages: More than half the people in the village speak just 8 languages, even though there are almost 6000 languages in the village of 100. "If you could say hello in these 8 languages, you could greet well over half the people in the village." That sounds like a fine place to start! Food: Along with sheep, goats, cows, pigs, camels and horses, the global village has 189 chickens -- nearly twice as many as the people in the village! But here's where some really hard discussions can start to take place. Although there is plenty of food in the village, it is not distributed equally. 60 of the 100 people in the village are always hungry. Only 24 always have enough to eat. Whoa. Other "whoa" moments are likely to occur when you read about the air and water, school and literacy, money and possessions, and electricity. We (in the United States) have so much, and yet we represent such a small part of the village. Smith includes notes for adults about teaching "world-mindedness." A strong sense of world geography is the starting place, and he recommends connecting learning with doing. If you want to start a little closer to home helping your students to think about where they fit into a bigger picture, this is the book for you. The "chapters" or "topics" are a bit different than those in If The World Were A Village, and they are presented as questions: "Who are we? ", "Where do we come from? ", "What do we own? ", etc. In lots of the sections, interesting historical comparisons are made. For example, in "Where do we come from?" we learn that "If the America of today were a village of 100: 15 would be of German ancestry, 11 would be of Irish ancestry, 9 African, 9 English, 7 Mexican, 6 Italian, 3 Polish, 3 French, 3 Native American, 2 Scottish, 2 Dutch, 2 Norwegian, 1 Scotch-Irish, and 1 Swedish." In 1790, those numbers would have been very different. At that time, "53 would have come from England, 19 from Africa (most of them slaves), 11 from Scotland and Ireland and 7 from Germany." We teach about immigration trends in American history, but thinking in terms of the village of 100 makes history come to life. As with If The World Were A Village, reading this book with your students will bring up hard realities and hard questions. We are a rich nation -- how do we share our wealth? We use more energy and water than any other nation -- how can we slow this down and be more responsible world citizens? We have a great variety of cultures and religions and lifestyles in our country --how can we be more accepting of others? A new immigrant to the United States arrives every 27 seconds -- what are we doing to make them feel welcome? We hope you've enjoyed this week's posts on the CitizenKid series from Kids Can Press. What a great collection of books to have in your classroom and to use to open the walls of your classroom and let the world in. This is the fourth in a series of posts about the Kids Can Press series, CitizenKid. CitizenKid is "A collection of books that inform children about the world and inspire them to be better global citizens." We're featuring the CitizenKid series because one of the CitizenKid authors, David J. Smith, will be at the February 20, 2010 Dublin Literacy Conference. We hope you'll consider joining us for the day on February 20 at the Dublin Literacy Conference. You can find registration information here. Of all our natural resources, it is perhaps our water that we take most for granted. At least in our part of the world. We should remember that there is a finite and discrete amount of water on our planet. The water we have is the same water that has been here for billions of years. We should think of our water as one global well. This book has short articles with gorgeous, detailed illustrations and fact boxes that tell about the water cycle, how plants and animals need and use water, water as a habitat, and the human impact on the water we share. In 1998, a Canadian first grader named Ryan Hreljac learned how difficult it is for people in other parts of the world to get fresh water. His teacher told him it only cost $70 to build a well for an entire village. He went home and asked his parents for the money, but they made him work to earn it. And work he did. One chore at a time, a few dollars at a time, Ryan earned the whole $70. When he went to deliver his donation, he found out that the $70 would only buy the hand pump; he needed $2000 for the whole well. That didn't stop Ryan. Between his determination and the ripple effect caused by his story, he built a well in a village in Uganda. He also became friends with Jimmy, a boy from the village, visited the village, and went to school there for a day. Ryan's family remained close to Jimmy even during a resurgence of the rebel war in Uganda. They managed to get Jimmy a flight out and a visa to visit Canada so that he could attend a conference with Ryan and tell the story of the well in his village. While he was in Canada, the fighting in Uganda got worse and he applied for and received refugee status. First, Ryan's well changed his life, and then Ryan's family accepted him as their fourth son, giving him a chance at a kind of life he never even dreamed existed when he lived in Uganda. This book is further proof that anyone, even children, can make the world a better place, one small change at a time. This is the third in a series of posts about the Kids Can Press series, CitizenKid. CitizenKid is "A collection of books that inform children about the world and inspire them to be better global citizens." 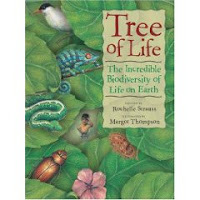 This is a fascinating book that makes taxonomy, the classification of living organisms, accessible to young readers by using the metaphor of The Tree of Life. On The Tree of Life are 5 branches -- the 5 kingdoms of living things: the Kingdoms of Monera (bacteria), Fungi, Protoctista (paramecia, amoebas, algae, etc. ), Plants, and Animals. The metaphor is further extended to the leaves on the tree: "If each species were represented by a leaf, there would be 1,750,000 leaves on the Tree of Life." On each double-page spread about a Kingdom, there is information about the specifics of that Kingdom and about the way the rest of the Tree of Life depends on it. And there is a visual that shows how many of the 1,750,000 species (leaves on the Tree of Life) come from that Kingdom. The Kingdom of Animals has 1,318,000 species, 1,265,000 of which are invertebrates. Of the 52,500 vertebrates, only 4,640 of the species are mammals. Of the mammals, humans are one of the 233 species of primates. "Humans -- 1 leaf on the Tree of Life." Humankind's place in the "Incredible Biodiversity of Life on Earth" is so small, and yet so much depends on the ways we do (and don't) care for our planet. 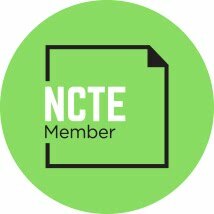 I know that last bullet point on NCTE's list of 21st Century Literacies refers to the ethical responsibilities required by the complex environments we have created with the tools of technology, but I can't help thinking they refer to the ethical responsibilities required by the complex environment of the Earth, too. This is the second in a series of posts about the Kids Can Press series, CitizenKid. CitizenKid is "A collection of books that inform children about the world and inspire them to be better global citizens." As it turns out, there are just three simple steps to building your own country: 1. Stake our your identity, 2. Run the country, and 3. Meet the Neighbors. Author Valerie Wyatt leads the reader through the details of these three easy steps with lots of humor (the example country is Bathmatia, with a population of 3 [including dog] and a capital city of Lintbourg) and plenty of real-world examples, such as the annexation of East Timor by Indonesia in 1975 and the motto of the African countries of Chad and Burundi ("Unity, Work, Progress.") There's a template for creating your new country's passport, and for writing a National Anthem (to the tune of "Old MacDonald Had a Farm"). Since you're going to have to set up a government, you might as well learn about a few of the most common forms, and in the likely event that you choose a democracy, you can find out about holding elections, writing a constitution, making laws and money, and serving your citizens. You probably have to teach a unit on government at some point during the year, right? Why not grab a copy of this book and see how much your students can learn by creating their own countries! This is the first in a series of posts about the Kids Can Press series, CitizenKid. CitizenKid is "A collection of books that inform children about the world and inspire them to be better global citizens." don't we yearn for a land of milk and honey? don't we call our loved ones "honey?" I've posted some heavy-duty "gettin' through the rough times" poems in the last couple of months. (Thanks for your patience, Regular Readers.) When I saw this poem on The Writer's Almanac last week, I knew I wanted to use it. Partly for a change of mood, partly because I knew I had taken that great bee-on-a-sunflower shot last September (click on the picture to fill your screen with JOY), and mostly because my class has (finally) come together and I know again that I am doing what I was made to do...and the world is sweet. I bought HOW TO CLEAN YOUR ROOM without even looking past the cover. Once I saw that it was written by Eileen Spinelli, I knew it would be good. This is a unique "How To" book. It is not only a how to book but it is also a pop up book. 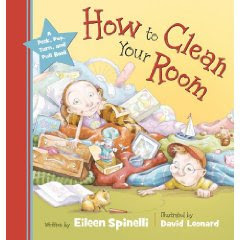 This book starts out telling you how to clean your room. She knows that the closets is a mess and the books are piled high. But instead of the drudgery that usually comes with cleaning a room, Eileen Spinelli reminds us of all that we love in our rooms--all of the memories, all of the fun. She reminds us not to rush when we clean our rooms, but to slow down and enjoy the memories. My favorite line in the books says this about cleaning your room. "It's to feather-dust the corners of yourself slowly." I love the poetic language in this book. It really makes me think about my expectations of a how-to book--such a nice surprise. It would be a great mentor text for kids. And, I so wish I had had this book when I did my book weeding last month. It would have made the task so much more enjoyable! 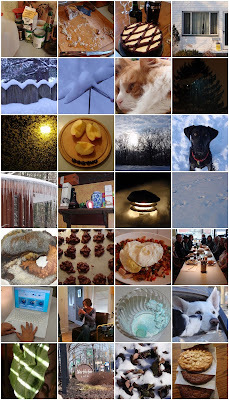 I have been watching some of the iPhone/iPod apps that offer picture books for kids. Lots of companies seem to be jumping at the opportunity to get books out there, no matter the quality. I haven't had much luck finding great books. 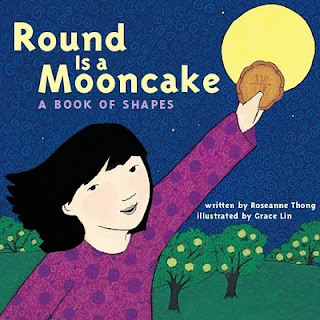 But when I saw that one of Grace Lin's book ROUND IS A MOONCAKE: A BOOK OF SHAPES was a new PicPocket Book, I thought I'd check it out. The problem with so many of the other sites I've found that offer books for kids to read on a handheld, is the fact that the books were written and produced for this purpose. Needless to say, the quality of many of the books designed as an app are not too great. PicPocket books offers mostly books that are already well reviewed by reviewers--books that kids already enjoy in book form. I loved ROUND IS A MOONCAKE. The book is well done. You can choose to have it read to you and choose to have word highlighted as they are read. Picpocket doesn't have a huge selection of books yet, but the ones that they have are good. I was pretty worried that picture books would never be good enough on a handheld--that ebooks were really about books for adults. But after seeing ROUND IS A MOONCAKE, I think I was wrong. I am not sure how many of these books we'll want our kids to have on their iPod or how we balance this out for young readers. They are semi-expensive because you buy each one as its own app. Each costs a few dollars. But I think this is similar to listening centers and other ways kids have enjoyed books over the years. I can imagine kids having a copy of the "real" book and a copy of the ebook for trips, etc. I also think there are some good implications for the library and classroom if companies continue to put out quality books. As long as the book and story are good, I see it as a great thing for kids to do on their own. I am excited to see some great books like Grace Lin's becoming part of the world of handheld picture books. I am so happy to see PicPocket Books working toward getting quality books reformatted in this way. -Kist gets into lots of classrooms and helped me to create a vision of what this could actually look like. It is clear that he works with a variety of teachers so he shows us many possibilities for social networking in the classroom. -He is realistic in his understanding of the challenges we face as teachers trying to implement social networking. So, he takes time to share ideas no matter what kinds of blocks and constraints you have in your school/district. He gets to the bigger picture of 21st Century skills so that there is an in for everyone. -He balances the theory with practical examples and some info on some terms we may not know. His voice is easy to follow and even when he is introducing something that was new to me, he helped me understand the tool as well as implications for student learning. Early in the book, Kist says, "This book takes the stand that the writing is on the wall or rather on the screen: Schools are going to have to move past whatever barriers exist and closer to the literacy practices increasingly used in the "outside world". No matter where you may be on the continuum of believing in or disbelieving the construct of "childhood", there can be no doubt that communication in this new century is going to be different than communicating in the old century-not necessarily better or worse but different..."
Later he goes on to say that this book "chronicles the sometimes messy first steps of educators who are attempting to include social networking inside real schools and who are grappling with all the challenges that come along with this new kind of teaching." If you are thinking about this topic at all, I would say this is a must-read. Even though it is written specifically for teachers of grades 5-12, I found it to be very applicable to elementary grades. I could see how things could be tweaked a bit to work for younger kids. The English Companion Ning is beginning a book talk on THE SOCIALLY NETWORKED CLASSROOM this week. Bill Kist will be leading the discussion. I am anxious to get a sense of what others are doing with this issue and to hear others' responses. I think this book is going to make a huge impact on classrooms as we work to figure out the role of social networking in our classrooms. And here are the Central OH bloggers who were able to get together today for the re-hash of the awards: which books won, which didn't, which we read, which we haven't, and which intern at Random House Kids lost their job this morning because they Tweeted the Newbery Award at least 5 minutes before it had been awarded from the podium. We reconvened at Cover to Cover for more book talk and, of course, to buy some books. Pictured are (back row) Mandy, Bill, Kristine, Katie, Shelly, (front row) Franki, Karen, Mary Lee, and Lisa. We were joined for breakfast by Tony. You can see many of the winners in our hands. This week, we spent library time looking at about 70 2009 picture books that could win the Caldecott Award. After having Loren Scully from the Dublin Library come talk to the kids last week, they had time to really look at the books this week. I always enjoy listening in on their conversations, but I really love to see the books that they gravitate to. I worry that they will vote for only the books they know, but that is never the case. They are much to smart to do that--they take this vote very seriously. This year, the following books were favorites of the 1st through 5th graders at our school--in no particular order. It was fun to watch them spend so much time thinking hard about the 2009 picture books. I imagine these will all be checked out consistently for the rest of the school year. THERE ARE CATS IN THIS BOOK by Vivianne Schwartz was one that so many kids loved. I didn't realize that the illustrator was from the UK until after it was out. It gave me a way in to remind them of the criteria of the illustrator living in the U.S. again. DUCK! RABBIT! by Amy Krouse Rosenthal was well-loved. Kids spent lots of time talking about the illustrations with this one with friends. OTIS by Loren Long is my personal favorite. The kids know this and it seems that several kids agree with me. So many kids spent time finding new things in the illustrations and needing to share their findings. This seems to be a story kids love to go back to again and again. THE LION AND THE MOUSE by Jerry Pinkney was another favorite. The kids were amazed at the illustrations and seemed to spend lots of time on single pages. SPOON by Amy Krouse Rosenthal was another favorite. The kids were drawn to the cover and loved the story. This was a brand new one so kids hadn't seen it earlier. Kids loved the story adn the fun in the illustrations. THE DAY-GLO BROTHERS by Chris Barton is another that kids were drawn to. I had read this book to several classes so many already loved it. But for the kids who had not seen it, they were immediately drawn to it and loved the way the story was told. This book is fabulous on many levels. First of all, it is inviting and accessible. Every double page spread has a short essay with a telling title and quote that functions as a subheading on the left, and a period photo that illustrates the essay on the right. The photos are so compelling that one way to read the book is simply to look at the photos and read the captions. As much as it is a book about the Dust Bowl, this is a book about the history of the development of photography as an art form...which just happened to take place during the years of and largely because of the Dust Bowl photographers. This is a book about how art (photography) can be used to document and remedy social inequities. It is a book not merely about what the Dust Bowl did to the people but also about what it did to the land -- it's a book about the importance of soil conservation and smart farming practices. This book is a testimony to the strength of the human spirit and the will to survive. And we mustn't forget that the Dust Bowl also gave us The Grapes of Wrath, Woody Guthrie, The Wizard of Oz, and Will Rogers. History was changed because of the Dust Bowl and because of the Depression, because of the Okies and because of Roosevelt's response to the economic tragedies of the nation at that time, because of photographers like Dorothea Lange and because of the photographs themselves. At the same time, photography evolved from a portrait-making tool, to a tool for social change. A new form of storytelling, photojournalism, was born of the Dust Bowl and the Depression, as were photographic essays. The way we get information and understand the world around us was radically changed during those years. Like I said, this book is fabulous on many levels. Pick it up and take a look. I'm pretty sure you'll have a hard time putting it down without reading the whole thing. I hate it when I goof: when I forget something important, when I drop the ball, when I'm late no matter how hard I've tried to be on time, when my intentions are misread, when I speak without thinking or without sufficient preparation. I am haunted by my mistakes. They leave their tracks everywhere. The snow will melt and others will no longer see them, but I can't erase them from my memory. Mary Ann's got the Poetry Friday Round Up at Great Kid Books today. As Franki reminded us all last week, predicting the Newbery was the reason this blog was born 4 years ago. We started by trying to predict the winner. That devolved to having read the winner. Then we decided that it was good enough to have the winner in our Amazon shopping cart. Last year, Franki and a few other people around here had read The Graveyard Book, even though it wasn't necessarily their pick for the winner. This year, Bill and Karen at Literate Lives are putting us to shame with their series of Newbery posts. Here are my favorite books of 2009. I'd be happy if any of them won! I have spent lots of time looking at all of the CYBILS Shortlists. I was on the group that chose the Nonfiction Picture book finalists and I LOVE that list. If you haven't had time to look at all of the great books on the shortlists, I would definitely suggest it. The thing I LOVE about the CYBILS is all of the great categories. When the final lists come out on January 1, every year, I go through to add to my next-read stacks. One of my favorite categories in the CYBILS is Easy Readers/Short Chapter Books. I have always worry that our new readers move from great picture books to difficult chapter books far too quickly. These early chapter books are so important for transitional readers and it is hard to find good ones. So, I was thrilled to find one from the CYBILS list that I LOVED! GOOD DOG, AGGGIE by Lori Ries and illustrated by Frank W. Dormer. There is lots to like about this books. Kids will like it because it is about a dog who just can't learn to obey his owner, Ben. But from a teacher's perspective, I like it because it is a great story that is so supportive of readers who are new to chapter books. First off, the colors and the illustration are bright and colorful. It is immediately engaging. This book is about 48 pages and there are illustrations on every page. The book is divided into three chapters that follow a sequence. There is enough predictability that it supports readers and enough surprise to make it fun. A perfect book for transitional readers and also one that kids beyond the transitional stage will also love! I am always amazed at the reading challenges that bloggers give themselves. We just love an excuse to read more or differently! For years and years, my personal challenge was to meet Mary Lee's yearly goal of reading 52 children's books. And I love to participate in Mother Reader's 48 Hour Challenge each year. I don't join or participate in order to win . Instead, it is a fun way to challenge myself to stretch as a reader and to be part of a larger reading community. They give us a chance to set our own goals. Last year, I decided to stop keeping a reading log. Bad decision. I really have no idea what I've read and have trouble going back to those books and that thinking. This year, I've decided to join Goodreads as a way to log my reading and as a way to keep up with books and friends' reading. So far, I love it. I was lost this past year without a record or a goal for my own reading. My reading this year was haphazard at best. After reading about Kristine's challenges at Best Book I Have Not Read, I became interested in this whole idea again. Kristine signed up for the To Be Read Challenge. In this challenge, you pick 12 books that you've been wanting to read for 6 months or longer, but haven't gotten around to. WOW--love this idea! Although I am not officially signing up for the challenge, I think this is a FABULOUS idea. During my recent weeding experience one of the sad thing I noticed was how many books I have intended to read but haven't yet gotten to. So, this challenge makes sense to me. I tweaked it a bit for myself. I decided that the "for 6 months or more" didn't matter to me. Instead, I want to make sure to make time to read those "must-read books" from my 2009 pile. So, I decided on 12--one for each month. Books I really don't want to end up on the bottom of a very, very large pile. I am appalled that I haven't gotten to some of these. But sometimes things get in the way of reading and you end up forgetting about some of the best books out there for a little while. So, my own personal reading challenge--books I haven't given my chance to read this year so I'll read them in 2010. The Plot Chickens is a pun-filled (both visual and verbal puns) about a hen named Henrietta who loves to read. Because she loves to read so much, she decides that writing must be equally "eggshilerating." She begins a story on her "Hunt & Peck" brand typewriter following the rules in the writing book. As she writes, the other hens in the henhouse offer their ideas and suggestions. When the book is finished, Henrietta sends it off to a publisher, only to receive a rejection letter. Henrietta "vowed not to brood over her rejection" and self-publishes. Her book gets a terrible review from the Corn Book Magazine and Henrietta almost loses her will to write. But then she sees that her book has been voted best book of the year by the library's story hour children and the world is right again -- her book is loved by the intended audience. It would be fun to write a collaborative book with students following the same rules as Henrietta, beginning with a main character and "hatching" a plot that sticks to what you know (no cyberspace ray guns in Henrietta's story!) all the way through an ending in which "the main character must solve her (or his) own problem." Starting with Alphabet, Book, and Character, Hershenhorn gives us an ABC of writing process, literary genres, advice and encouragement. As with the other books in this series, each letter has a short rhyme along with a longer explanation in the sidebar. Definitely a book to add to your resources about writing. This book of writing advice can sit on your self right beside Ralph Fletcher's books A Writer's Notebook: Unlocking the Writer Within You and How Writers Work: Finding a Process That Works For You. With the short chapters and the "dares" (dares are way more fun than invitations or assignments, don't you think?!?) that are at the ends of most chapters, this book would be fun to use for mini lessons in writing workshop. Henrietta (from The Plot Chickens, see above) would have loved this book. Mazer and Potter also begin with advice on creating characters and constructing a believable plot with enough suspense to keep a reader engaged. The tone of this book is very conversational and the section titles vary between informational ("Revision") and inviting ("Belly Buttons"). Another must-have for your shelf of books about writing. (www.twitter.com/alayma)." And, as always, I can hardly wait! This week, our wonderful Dublin Branch librarian, Loren Scully came to work with our 3rd, 4th and 5th graders. She shared criteria for the Caldecott medal and showed some past winners-things she has noticed about them since they've won. She also shared several new books that are getting a "buzz" and shared some different techniques that illustrators use. It was a great few days of learning and every class was glued to all that Loren had to say. Next week, the kids will have a chance to take a look at 70 of the best picture books from 2009 trying to predict the one that they think will win. Loren's prediction for the Caldecott Medal? The Lion and the Mouse by Jerry Pinkney. After she shared this one with kids, many kids agreed that it was truly amazing. My very favorite picture book of the year, as you all know is OTIS by Loren Long and it is my hope and prediction for the Caldecott. Really, if you take a close look, it is clear that Loren Long is quite brilliant. (Adrienne Furness fell hard for this one too:-) I love The Lion and the Mouse (who doesn't?) too so I will be thrilled with either one. The other book that I think would be a great winner is CHICKEN LITTLE--it might make my "Books I Can Read a Million Times" but I haven't tried it out yet. I love it more every time I read it. 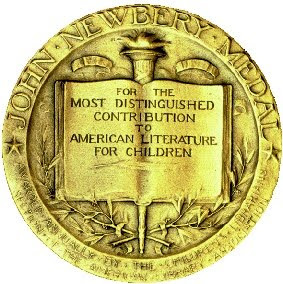 And what about the Newbery? I am so not sure this year--well, honestly, I am never right so this is nothing new. But, I just don't know. I LOVED UMBRELLA SUMMER by Lisa Graff. I LOVED WHEN YOU REACH ME by Rebecca Stead and I LOVED ALSO KNOWN AS HARPER by Ann Haywood Leal. I LOVED 11 BIRTHDAYS. It is very fun and smart--I am a huge Wendy Mass fan. I know that these predictions aren't really supposed to be about the books I love, but this year, I decided to go that way. The problem is, I still have so many great books on my next-read pile. Books I have heard such great things about. There are also lots of great YA books that could win but I am thinking those will win the Printz. BIll and Karen over at Literate Lives are doing their "Looking for Newbery" series again--reviewing one book a day that they believe is a contender. So many great books! And don't miss the ongoing conversation at Heavy Medal. And lots of the Mock Award committees will be meeting this week to do their final voting. audio CD included with "39 minutes of poetry on 55 tracks"
This is probably my favorite poetry book of 2009. In ways that are elegantly woven, Hoberman and Winston have given us a poetry book that is a science book, a science book written in poetry, and a collection of poems that can serve to teach us the arts of reading and writing poetry. All this in one volume. As anthologists, they are collectors of poetry about the living world in the same way that naturalists are collectors of facts and artifacts about and from the living world. Every section of the book has an introductory essay (a kind of Literary Essay for those of us who need mentor texts for students who are expected to tackle this genre of writing). Oh, Fields of Wonder: "Both poets and scientists wonder at and about the world. Out of that wonder, scientists devise experiments to see whether they can verify what they think may be true, while poets craft language to examine and communicate their insights." The Sea is Our Mother: "The poems in this section recall life's watery origins as well as the Earth's own geological beginnings. They speak about the planet's ongoing transformations, the diverse creatures engendered in the sea, and about our own human connection to them both." Think Like a Tree: "We wouldn't be here without plants." Meditations of a Tortoise: "In both Iroquois and Hindu legends, the earth is supported on the back of a giant turtle." Some Primal Termite: "Naturalists define fitness as the ability of a species to reproduce itself in the greatest numbers and to adapt to the widest range of environments. According to this definition, insects are the fittest of all living creatures." Everything That Lives Wants to Fly: "Along with Archaeopteryx (the earliest known bird), Darwin's finches play a key role in evolutionary theory." Hurt No Living Thing: "It is natural for species to go extinct, but the rate at which this is happening today is unprecedented." And every poem in this book is accessible to and readable by children. They never preach. They show, rather than tell. 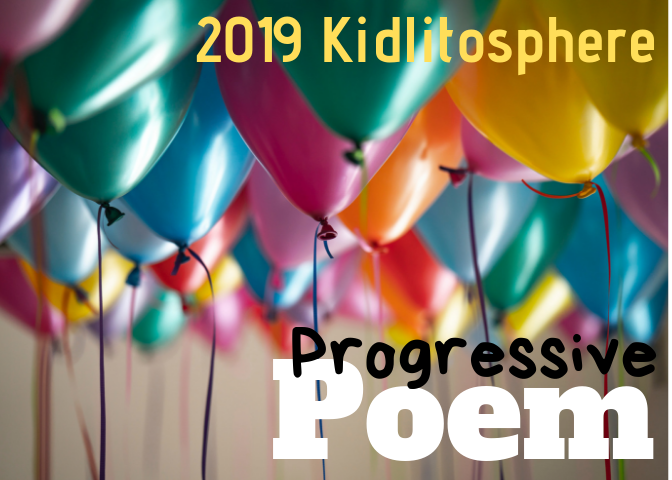 They introduce children to poems by children's poets as well as some of my favorite adult poets: Wendell Berry, Maxine Kumin, Ogden Nash, Mary Oliver, Theodore Roethke, Rumi, and May Swenson. The scientific and/or poetic notes at the bottom of some of the pages are unobtrusive but informative. Tricia has the Poetry Friday round up today at The Miss Rumphius Effect. This is the story of a Sudanese boy who is leaving the refugee camp for America. When he leaves, the Wise One says, "Don't worry. You carry a Dinka name. It is the name of your father and of your ancestors before him....You will always be a Dinka. You will be Sangoel. Even in America." Everyone Sangoel meets in America mispronounces his name -- the lady who meets them at the airport and takes them to their new apartment, the doctor who checks him, his teacher, the soccer coach. Sangoel corrects them too quietly to be heard and winds up feeling like he has lost his name. Then he has the idea of making a shirt that shows his name in pictures. He draws a sun and a soccer goal, and when he gets to school, he gets his name back: it is pronounced Sun-goal, not San-go-el as an English speaker might parse it. Names are intensely important. They are the core of our identity. In the real world, I hope every teacher and coach ASKS a child to pronounce an unusual name so that they get it right from the beginning and the child does not have to fight for his or her identity. I'm a little extra sensitive to this issue since I teach in a school where just this year I have learned names from Africa, China, Japan, Korea, India, Iran, Iraq, and Russia. Related books: Home of the Brave by Katherine Applegate is a novel in verse about a refugee from Africa. My Name is Yoon by Helen Recorvits is about a Korean girl who struggles to accept her given name. If you've been reading our blog over the years, then you know we are both involved in the planning of the Dublin Literacy Conference. This is a one-day (Saturday) conference run by teachers in our district. Each year, we invite 4 professional authors and 4 children's authors to speak at the conference. Along with the featured authors, there are 40 concurrent sessions that participants can attend. We get between 400-800 teachers from Ohio and beyond each year. The conference will be celebrating its 21st year in February and we have a great line-up of speakers and sessions planned. Since it is the 21st year of the conference, we thought it would be appropriate to go with a 21st Century theme. This year, our featured professional speakers are Dr. Tim Tyson, Kevin Hodgson, Katie Van Sluys and Ann Marie Corgill. Our featured children's authors are Melissa Sweet, Patrick Carman, David J. Smith and Denise Fleming. Visit the Dublin Literacy Conference Page of the district website if you'd like to learn more. We hope you can join us this year. It is always a great day!! The Best Book About a Girl Who Wants a Dog!